The Little Cheese Shop is a artisan food shop in the heart of Dingle. 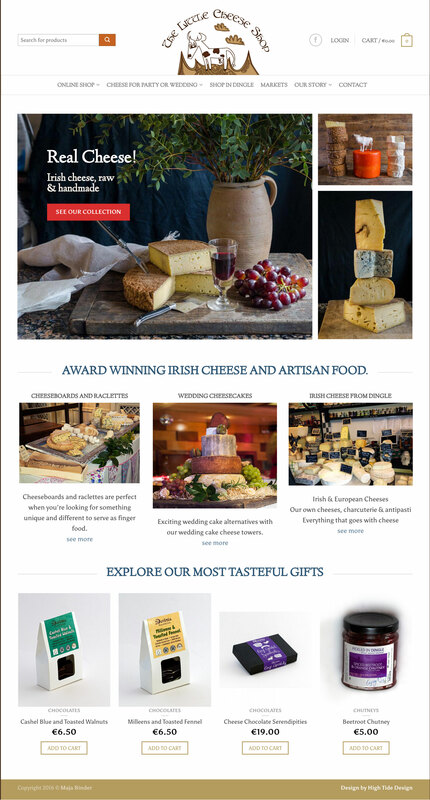 They produce a selection of award-winning cheeses, patés and charcuterie, as well as selling an extensive range of Irish & European artisan foods. 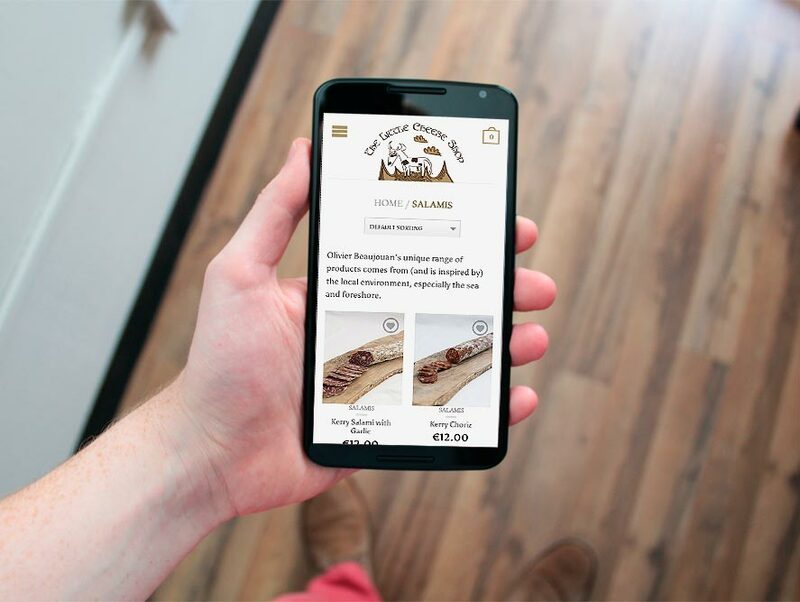 They wanted a website with an online shop to sell their products. We built an attractive eCommerce website. We conceived new colours and typefaces to work with original branding. We collaborated with a professional photographer for eye-catching images of products. We designed the website to work on multiple devices. The result was a cohesive and recognisable brand. The client was delighted with the new look and received many compliments from customers. Sales increased significantly.